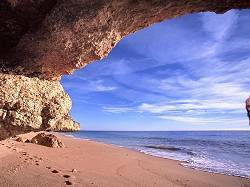 The Algarve has some of the most dramatic and beautiful beaches in Europe. There are the long flat sandy beaches, several kilometres long, with a few hundred metres of sand between the water and the back of the beach. If you prefer the drama of smaller beaches and coves, carved out of the sand stone with spectacular cliffs, and crystal clear water, then there are plenty to choose from. There are also a many very secluded coves with beautiful beaches, that are accessable only by boat. Half an hour along the cost to Lagos, and further west, you can hire surf boards and test your skill in the Atlantic surf. The coastal strip of the municipality of Lagoa is essentially a rocky one and is characterised by the jagged cliffs that mark out its coastline, resulting in unexpected and truly breathtaking landscapes, their appearance permanently changing because of the erosive effects of time and the elements. The cliffs, carved out of ochre-coloured carbonate rocks, are vulnerable to the action of water: the saltwater from the sea that wears them away and undercuts them at their base; and the rain that slowly erodes them from inside, giving rise to some curiously shaped crevices and furrows. The persistent action of water upon the rock has resulted in unusual eroded limestone landscapes, where different features have been formed, such as isolated groups of rocks, potholes, arches and caves. But it is not only humankind that has allowed itself to be seduced by this landscape, for countless species of birds and bats have chosen these rock formations as their place of shelter and their breeding grounds. 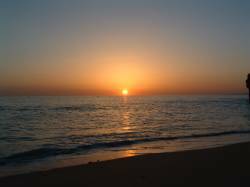 Especially in warm summer months, many Algarvian beaches are open all night. From action-packed days in the sun and sea, night brings on a different kind of beach entertainment. In Portimão, holidaymakers are attracted to beaches by day, and bars and discos during long and entertaining nights. For those not wanting to leave the sea, not even at night, the Alvor waterfront area and Tomás Cabreira Avenue (Praia da Rocha’s seafront promenade) are not to be missed because they are areas teeming with activity: bars, open-air cafés, restaurants, and discos. Prainha, Vau, Praia da Rocha and Marina are places to be! 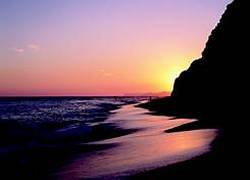 Albufeira is one of the most famous nightlife centres in the entire Algarve with its many bars, clubs, discos and lively open-air cafés, and the broad range of music on offer. São Rafael, Pescadores (Fishermen’s Beach), Oura and Santa Eulália are the busiest and most sought-after. Armação de Pêra, especially the seafront area, and Carvoeiro are also options for holidaymakers who cannot do without the hubbub of the city. Finally, Tavira Island Beach, dotted with bars which are open until midnight, has a special evening ambience all of its own.